These days, most applications make use of your dedicated graphics card. Even running Ubuntu in its full glory requires you to have a decent graphics card. Oh and yeah, gaming is another area where you need to invest your hard-earned money into buying either an NVIDIA- or AMD- enabled laptop. The problem here is that graphic-intensive tasks, especially those that make full use of your graphics card consume a lot of your battery life. In fact, sometimes people feel that they'd be better off with a modest Intel graphics card. 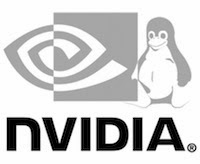 Taking note of this problem, NVIDIA came up with an ingenious solution called NVIDIA Optimus. What Optimus does is that it dynamically switches between your onboard Intel graphics and your NVIDIA graphics card in order to save power. So, for example, when you're playing a game, Optimus will switch from Intel to NVIDIA so that you could have the best gaming experience. However, when you are working on that Excel Spreadsheet, Optimus makes sure that you are using your Intel graphics thus saving you a lot of power. NVIDIA Optimus is already available on Windows with the default NVIDIA drivers set. On Linux, however, the Bumblebee project is responsible for bringing Optimus to your laptop. The following guide will help you get NVIDIA Optimus working on your Ubuntu desktop and hopefully make the most out of it. (This guide assumes that you have an Intel and an NVIDIA card on your laptop. For more information check the instruction manual accompanying your device). To ensure that you can switch between your onboard graphics and your NVIDIA card anytime you want, all you need to do is install the Prime indicator applet for your desktop. Once installed, an indicator applet shows up that displays the graphics card that is currently in use. Upon clicking the icon, you can switch between the two cards. As simple as that.